While rummaging my stacks of photos I was surprised to see our El Nido trip a year ago. I cannot believe I haven't made a post about it yet and left it in oblivion for so long. A place such as this shouldn't be forgotten. How can I be so forgetful.. Some facts about El Nido. 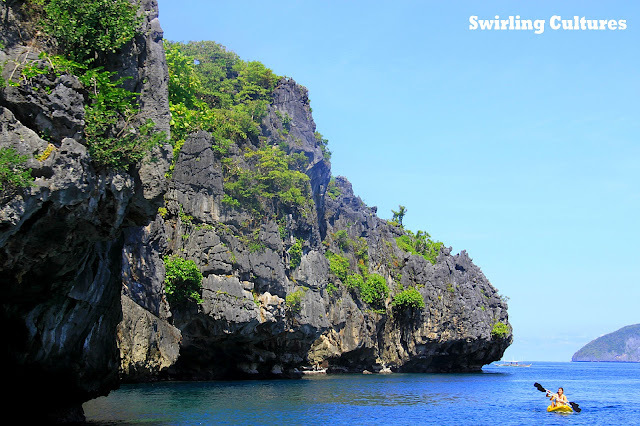 El Nido is located in the northern part of Palawan, a first class municipality and managed resource protected area. It's no wonder CNNGo dubbed it as the best beach and island destination in the archipelago. In fact even Bourne Legacy star Rachel Weisz was wowed standing in the presence of great beauty during the filming of the movie. We rented a van and left Puerto Princesa City in the morning with stops along the way for lunch, dinner and wash room - making the trip six hours, tops. The view along the way was superb especially during the morning as fishermen made themselves busy throwing nets onto the sea while the sun slowly rose from the horizon. It was a perfect backdrop so to speak. The trip was bumpy as hell you'll wish you never go (rough road and all that). But fear not! "Once there, you will forget all your exasperation and will simply be in awed of its beauty." That was the exact statement of our driver during my first visit a few months ago. 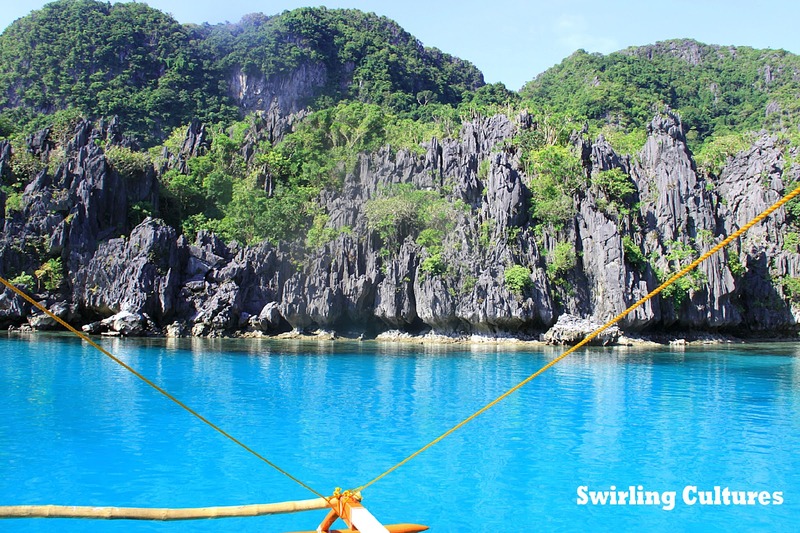 True to his word, El Nido is a paradise. Nothing else comes close in my opinion. Note: This post is dedicated to my second visit as it's part of our honeymoon stage *wink*. It's a shame I don't have photos of the first trip.